On Wednesday, Sept. 20, Tarleton State University held their Centennial Birthday Bash in celebration of Tarleton’s 100th year of being a part of the Texas A&M University system. 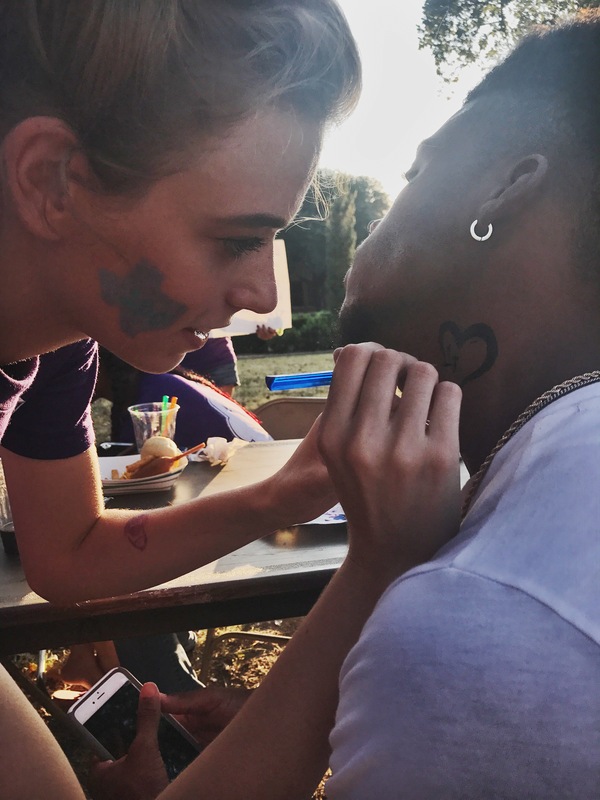 Photos were taken by students in the News Photography I class. 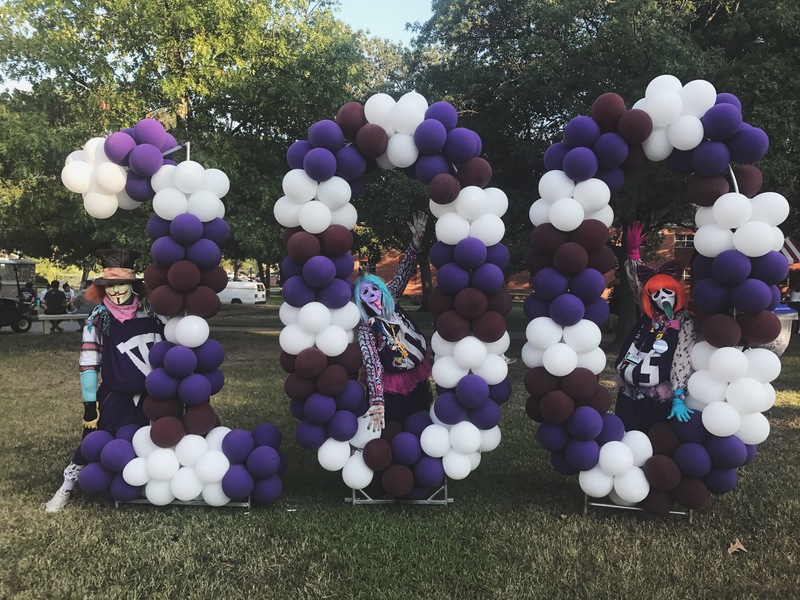 The Purple Poo pose with the “100” balloon sign at Tarleton’s Centennial Birthday Bash on Wednesday. Photo by Hannah Mabry. 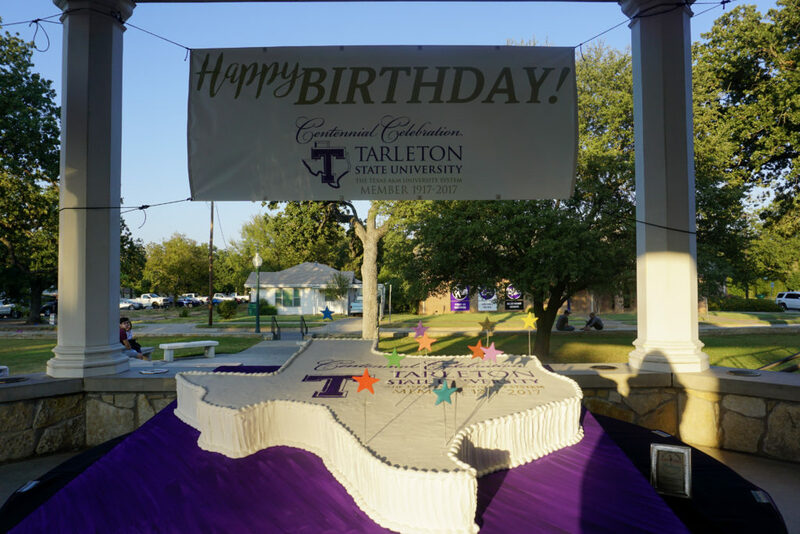 Texas shaped birthday cake at Tarleton’s Centennial Celebration Birthday bash. Photo by Marissa Vaughan. 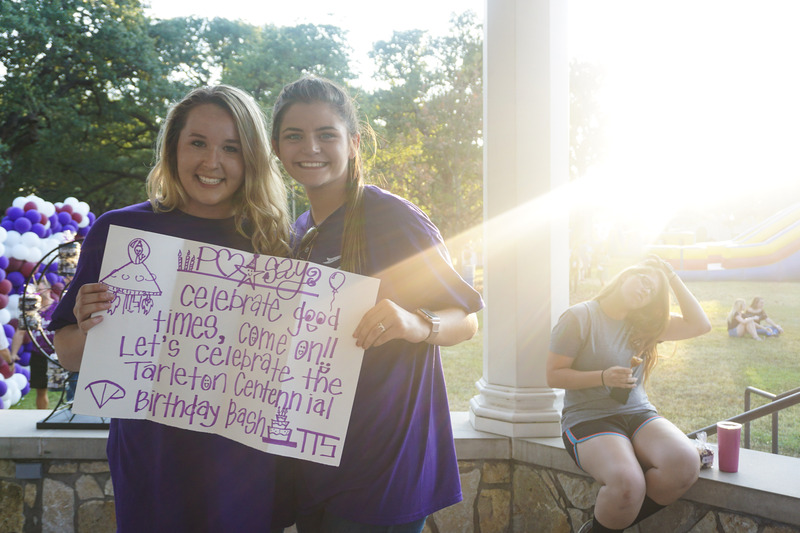 The Centennial Birthday Bash celebrated the 100th year of Tarleton being a part of the Texas A&M University system. Photo by Marissa Vaughan. 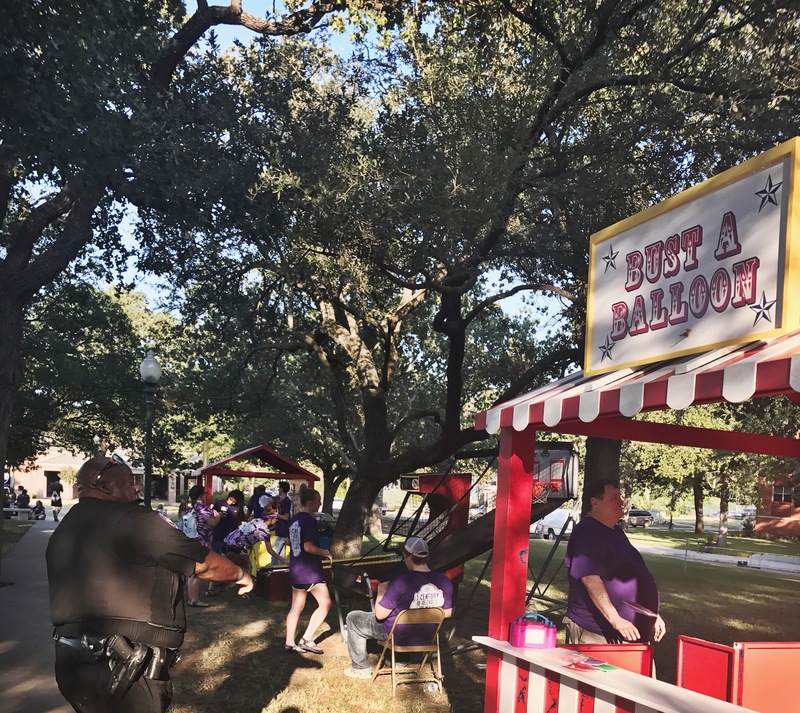 TSU Police Officer Chili Alexander participates in the carnival games at TSU’s 100th birthday celebration in Heritage park on Wednesday. Medium. Photo by Hannah Mabry. 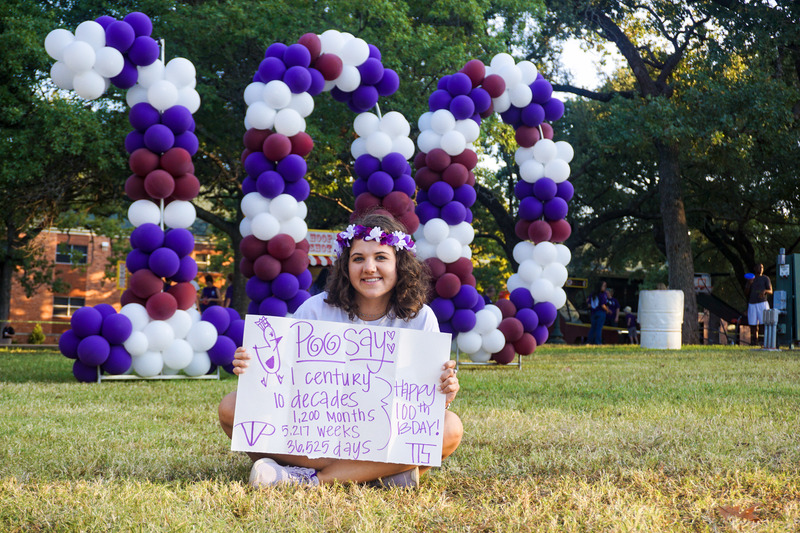 Tarleton students pose with a Purple Poo sign made for the Centennial Celebration. Photo by Marissa Vaughan. Senior, Jessica Moore, at face paint booth. Photo by Hannah Mabry. 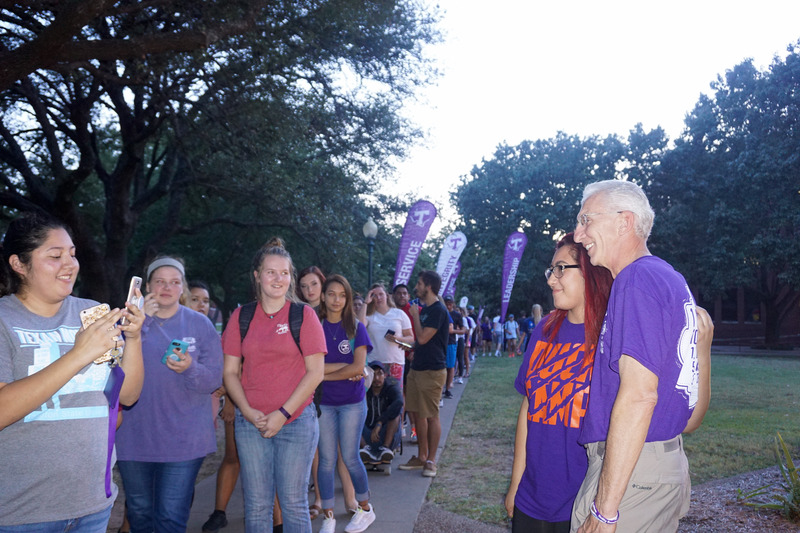 Student takes a picture with Tarleton State University President Dr. Dominic F. Dottavio at the Centennial Celebration. Photo by Marissa Vaughan. 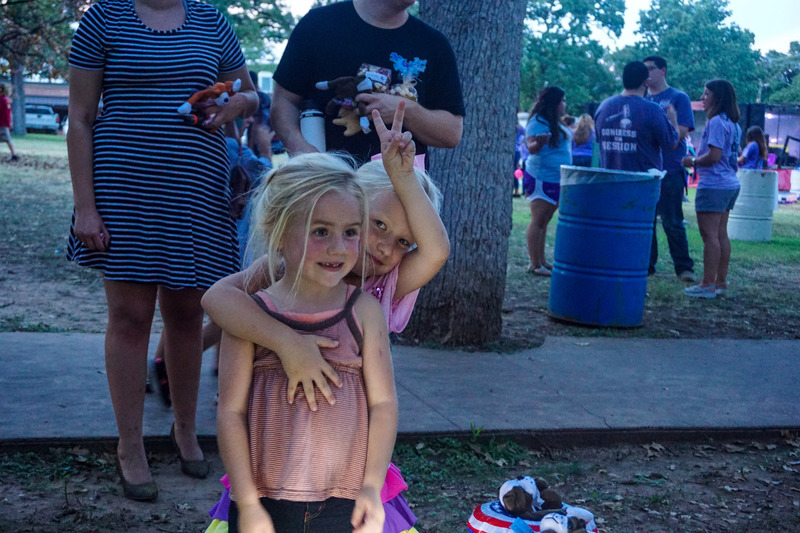 Student Life Vice President Dr. Laura Boren’s daughter poses with a friend at the “Ball Score” game. Photo by Marissa Vaughan. 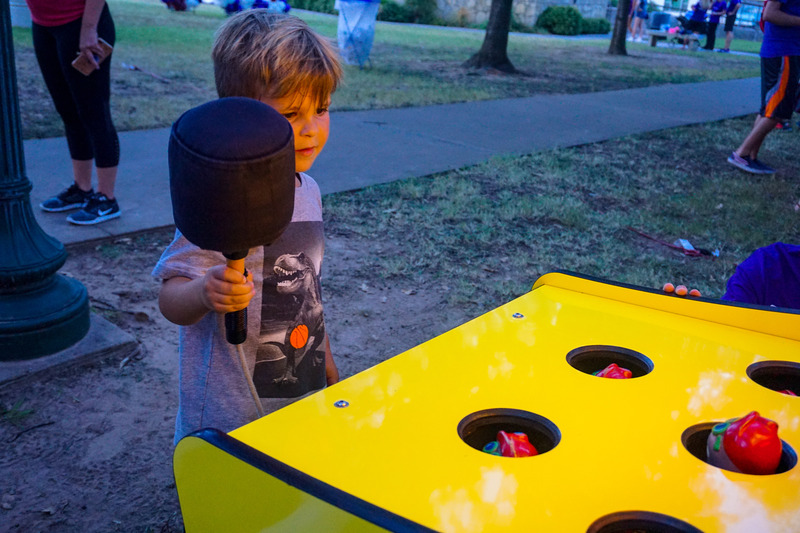 This young boy plays a game of “Whack-A-Mole” at the Centennial Celebration. Photo by Marissa Vaughan.